Get Well Wishes for Boyfriend : Probably you get the best chance to prove your love for your boyfriend during his sickness. Though it is too much unpleasant and awful for your guy to fall in sickness. But besides the bitter pills and medicines prescribed by the doctor you should take some extra care towards him and show you compassion and love by praying his speedy recovery. 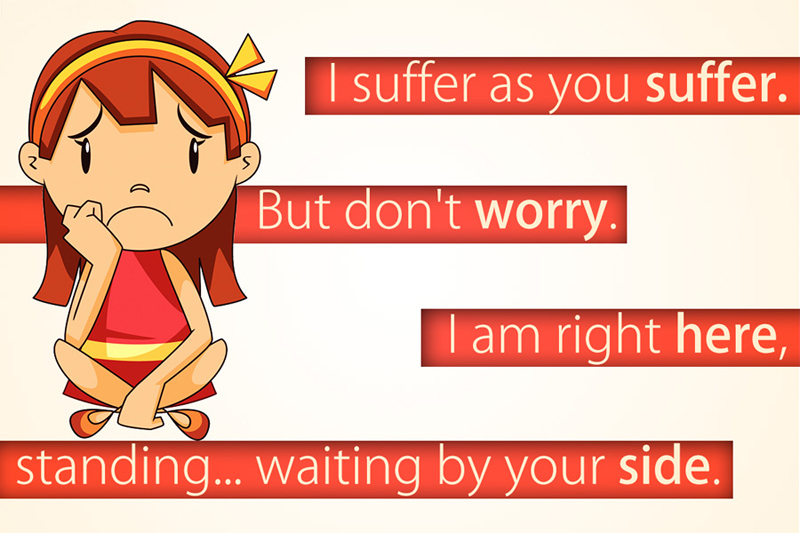 Here we have a rich compilation about get well soon messages for boyfriend which will help him to get back sooner and fight the disease with great strength. 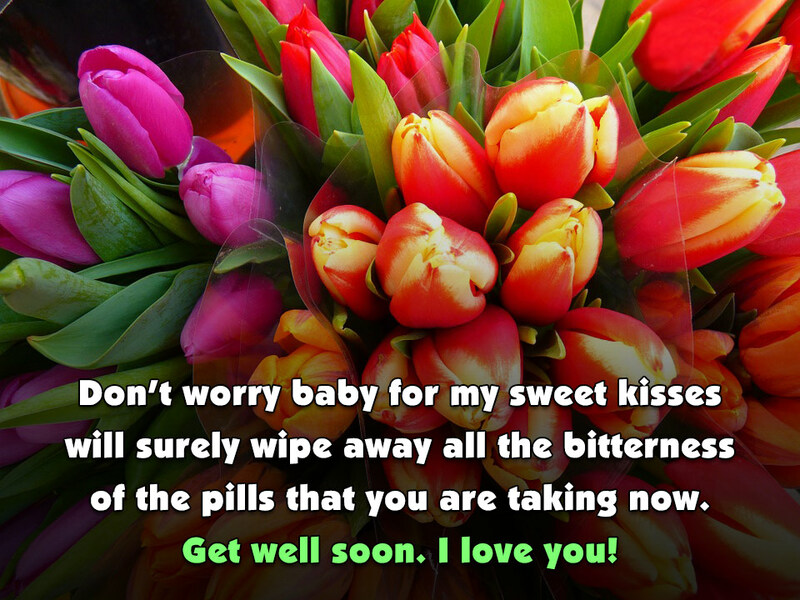 Let him know how much you care and miss your guy during his little period of sickness and share these romantic get well wishes with your beloved boyfriend to make him feel better. With the warmth of love and wishes from the depth of my heart, you will surely get cured from your sufferings. Get well soon, my love. My heart feels empty without your presence and I miss you very badly. Get well soon love. I am praying for your fastest recovery every moment. Get well soon Love, and come back with full confidence and strength. Get well quick and come back soon babe to fill up the emptiness of my life with the brightness of your smile. I cannot wait any longer to see you all healthy, confident and full of life as you have always been. Get well soon, Babe. 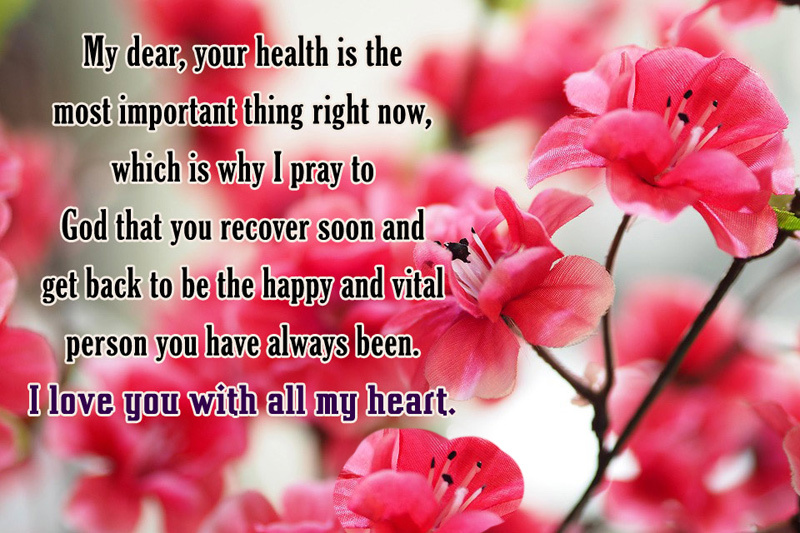 I am praying to the Almighty every moment for his blessings to be bestowed upon you so that you get healed quickly. You are a fighter my love. You will surely recover quickly with the strength and support of my love and prayers. I will be there with you always providing strength, support and love for your fastest recovery. Get well soon, dear. I woke up this morning feeling empty not having you around is just so lonely, Sorry things are so un-fun right now. Hoping that changes soon. Wishing you a speedy recovery honey! Just like our love has conquered all the negativity of this world, it will surely conquer your disease. Get well soon, babe. Every moment, my eyes are craving to see you and it is searching everywhere for having a glance of your presence. Come back soon love. I am surrounded by emptiness and I am eagerly waiting for you to fill it up with your love and warm hugs. Get well soon, love. I miss you. You will get the strength to fight back your sufferings by holding on to the bond of our love tightly. Get healed quickly, love. To ease healing for your sufferings I am sending my warm hugs, love and support. They will surely cure you quickly, dear. Witnessing your bright and heart winning smile is what made me fall in love with you. I want you to come back healthy and with a brighter smile. Get well soon. Supporting you in your hard times is the least I can do in return to your overwhelming love for me. All I want is you to come back stronger and healthier than before. I have trust in your strength and I believe that you will be able to have the fastest recovery. My love and wishes are always with you. Get well soon, babe. I’m sending you some kisses as medicines. Muaaah. Get Well Soon! Ask your doctor to prescribe medicines for two. Because when you feel sick, I do too. I love you. Even the doctor knows that medicines are useless until I brighten up the smile on your face with my kisses. If hugs and kisses could cure, you’d have been immune to everything by now. Lifting you up in my prayers during your treatments. Get well soon. No matter how dark and dull you feel, always remember that you are the sunshine in my life. Wishing your fast recovery. Sickness may make life seem, gloomy like a dark night sky. But never forget that you are the star that lights up my life’s skies. Life doesn’t promise an all-time bed of roses. Sometimes life comes with thistles and thorns… But no matter what life brings in their numbers, We have all it takes to get through. It is well with you, just believe. Worry is chewing me up, stress is biting into me and tension is nibbling my heart away. Now feel better soon so that your love can brighten up my days. Even I’m feeling unwell now because our bodies might be separate but our heartbeats as one. Here’s to you—steadier, stronger and better every day. Get Well Soon! Seeing you on your sick bed makes me sad. I pray God will grant you good health today and the years to come. I wish you a full recovery from your illness. On the off chance that I had a time machine I would utilize it to go to the future when you will feel better. Just show your muscles to your disease. It will run away and surely never come back. Get well soon quickly, babe. Just like you convince everyone with your charm to get things done. Do the same with your sufferings, it will surely leave you soon. I am missing the moments when I used to get entertained by your stupid jokes. Recover quickly love, I want to hear more. I am eagerly waiting for seeing your funny face and to have a good laugh. Get well soon babe. I cannot wait any longer to see you. The only time you look creepier than a ghost is when you are sick. You surely don’t want other girls to visit you like this! Get well soon! With you, life is full of stupidity; without you, life is full of boredom. I’ll choose stupidity over boredom every time. Waiting for you to come back! Don’t worry about being sick. Our selfie on your hospital bed will be yet another addition to our relationship’s awesome memory bank. Get well soon. Please tell your doctor that he’s going to have faced a very angry girlfriend if you don’t get better soon. Get Well Soon! If your doctor doesn’t mind, I would like my hugs to be a core part of your treatment and a daily dose of medication. Get well soon. I am eagerly waiting to be embraced again with your warm hugs. Get well soon, love. Not seeing you for a few days, seems like ages to me. Hoping for you to get well soon, love. Get well soon, babe. I am missing all the vibes of energy that comes from your presence. Without your presence, I am being surrounded by silence and gloominess. I am praying for your fastest recovery, Love. Fight back your sufferings by believing in yourself. I believe you will recover fastest in this way, my dear. I am craving to see you healthy with a broad smile on your face. Get well soon, love. As the sun shines through the window, I hope each ray of the sun heals and cures all your physical sufferings. Get well soon, babe. I hope the Almighty grants you a life with good health and prosperity so that we both can achieve all the goals of life together. Get well soon, dear. I am always praying to the Almighty for a quick healing from your sufferings. I wish that you come back with full confidence and better health. I am sending my prayers, love and support to provide you strength so that you can fight back your sufferings and get well soon. Believe in Almighty and put your trust in Him and in our love. By keeping trust and belief, you will be blessed with strength to recover faster. I wish for fortune to be blessed upon you so that you are gifted with a healthy life and a bright smile on your face. Get well soon, love. Come back quick my love with better health and confidence than before. My heart feels empty without your presence. I have faith in my love for you. You will surely recover quickly with the strength and support of my love and prayers. Get well soon, love. You will get the strength to fight back your sufferings if you believe in your willpower and our love. We have a lot to achieve in life. Get well soon babe. I am sending my warm hugs, kisses, love and support. They will surely cure you quickly, dear. Get well soon. Believe in our love, it will definitely force your sufferings to kneel down in front of it. I am eagerly waiting to be hugged by you. Get well soon, love. I have always adored your strength, determination and willpower. Unleash all these qualities to fight back your sufferings. Get well soon, love. 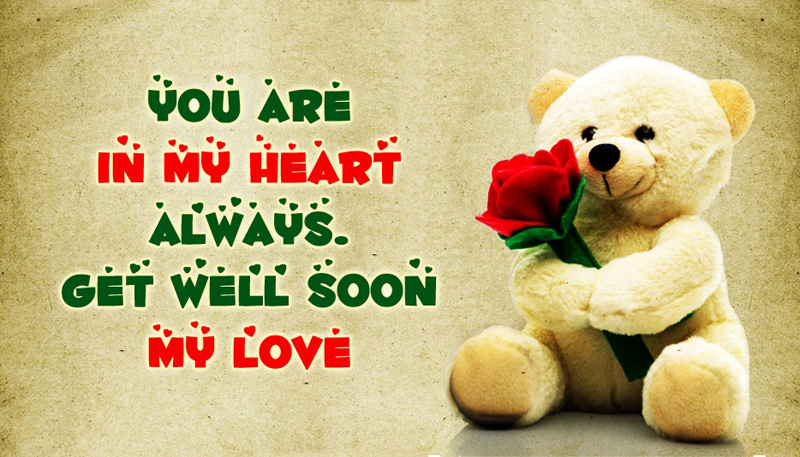 We hope that by reading these get well soon messages for boyfriend you would get the better ideas about what to write in a get well card message for boyfriend and send your heartfelt thoughts and prayers by wishing his quick recovery.